Cantina Mayahuel, owned by Larry Auman “Don Lorenzo”, is a civilized cantina with old Mexico charm, providing education and information, about the culture, the process, the heritage and the passion involved in the making of tequila. Purchasing this tequila is a tricky business. It involves a little bit of luck, a little strategy, and a little research. You have to get it as soon as a new lot is released because these small batches go very quickly and are often very limited runs. The current Reposado Reserva available (with a paper label) is from NOM 1146 but, make no mistake, the Reposado Reserva we tasted here was from NOM 1445. 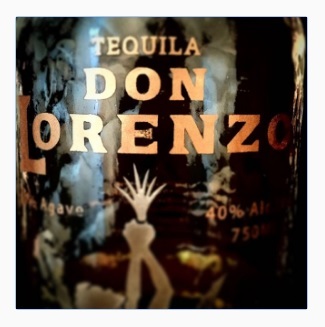 Tequila Don Lorenzo Reposado Reserva NOM 1445 Lot-002 on Tequila Aficionado’s Sipping Off the Cuff with Mike Morales and guest co-host Rick Levy. Blending perfection in The Art of Tequila!